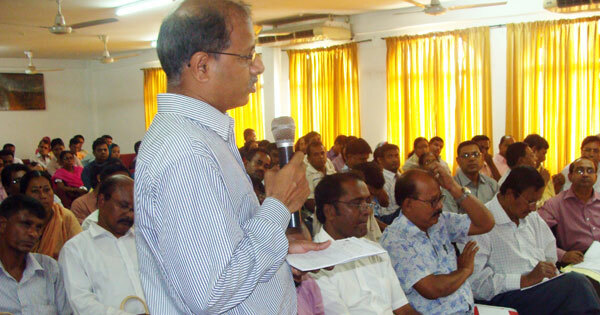 InM organised a Regional Dialogue with the Microfinance Institutions (MFIs) at BRAC Training and Research Centre (TARC) in Barisal on May 25, 2011. The Regional Dialogue was aimed to understand the needs, problems and challenges being experienced by the MFIs operating in Barisal division and to strengthen interactions and collaborations with the MFI practitioners and stakeholders at the regional level throughout the country. 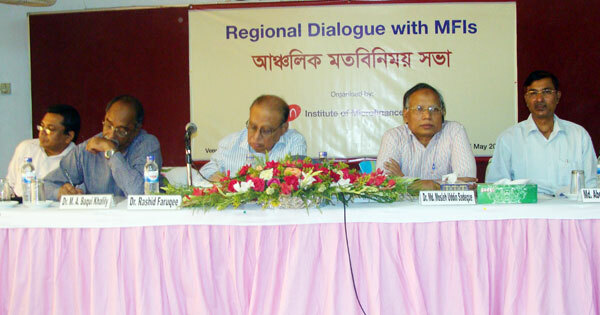 Senior officials of 114 MFIs were present at the dialogue. Dr. Md. Mosleh Uddin Sadeque, Interim Executive Director, InM; addressed the welcome speech to the representatives of the MFIs at the dialogue. InM Visiting Fellow Dr. Rashid Faruqee chaired the dialogue, and described the purpose and importance of the regional dialogue and on the importance of regional dialogue and expected outcomes to build a strong network of relationships among MFIs. At the event, Professor M. A. Baqui Khalily, Department of Finance, University of Dhaka and former Executive Director of InM, provided a brief description about the role of InM in the microfinance sector and its research and training activities at national and international levels. Mr. Md. Abdul Hye Mridha, Sr. Deputy Director (training & admin), InM, provided a short description about the training activities of InM. Mr. Mohammad Yakub Hossain, Deputy Director, Microcredit Regulatory Authority (MRA); provided answers to the queries of the participants. The dialogue became lively by the active participation of microfinance stakeholders, practitioners, and senior officials of MFIs in Barisal division.